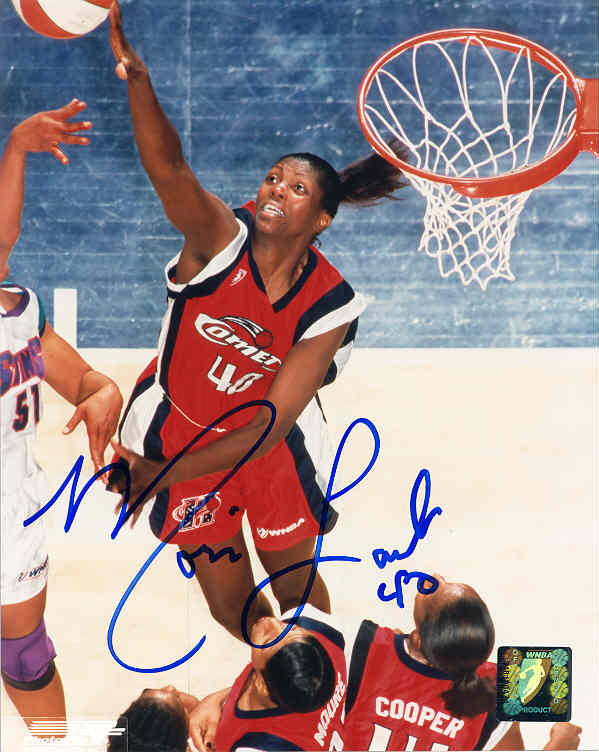 Monica Lamb autographed, hand signed Houston Comets 8x10 photo. Monica Lamb is one the most famous women ever to cross onto the intense playing surface that is a WNBA arena floor. Come help celebrate her career with the Houston Comets with this great 8X10 photo. Each hand signed photo which includes an individually numbered, tamper evident hologram from TriStar guaranteeing the autograph's authenticity, which can be verified at www.tristarauthentic.com.